If he’s happy, he’s got a funny way of showing it. But for Wayne Rooney, happiness does not appear to be an essential quality. Its absence from his working life has done nothing to neuter his rampant return to form. It’s a curious contradiction for a man so heralded as the archetypal lover-of-the-game, but perhaps that’s just it – so great is his love for football that he is utterly ambivalent as to where he’s playing it. This ambivalence sits awkwardly alongside another facet of Rooney’s career: He is, despite his morale, moving unblinkingly towards Manchester United’s all-time goal-scoring record, held at present by the iconic Sir Bobby Charlton. That a man who has on more than one occasion tried to force his way out of Old Trafford could eclipse the feat of a legend who lives and breathes for the club creates a baffling dilemma, for the fans as well as the man himself. The fans, in fairness, have been more than willing. Like jilted lovers who always thought their ex was too good for them, they’ve welcomed him back with open arms when wandering eyes led him nowhere. But there’s now something slightly pathetic in the chorus of ‘Roooney’ and the applause for his every back-track. If United had signed even one of the star names they pursued in the summer, their attitudes would almost certainly be different. This renewed affection has spawned from necessity. After all, how will they really feel if Rooney goes on and gets the half-century more he needs to stand atop the all-time list? Will any of them really, truly believe that he is United’s best ever striker? Even now, in what should be the prime of his career, there’s a feeling that he’s already failed to live up to the potential showed in his earliest years. How the fans would feel is one thing, but even more significant is the question of what it would mean to Rooney himself. Though both he and David Moyes are obliging when the records are mentioned in interviews, he has never really cut a figure for whom a one-club legacy is significant. His own actions in transfer windows recent and long past suggest that he would much rather be plying his trade elsewhere. Whether for more money or more glory as the lone and untouchable frontman, there are qualities Wayne wants in his world that club records do not fulfill. Alas, the marriage of convenience goes on. 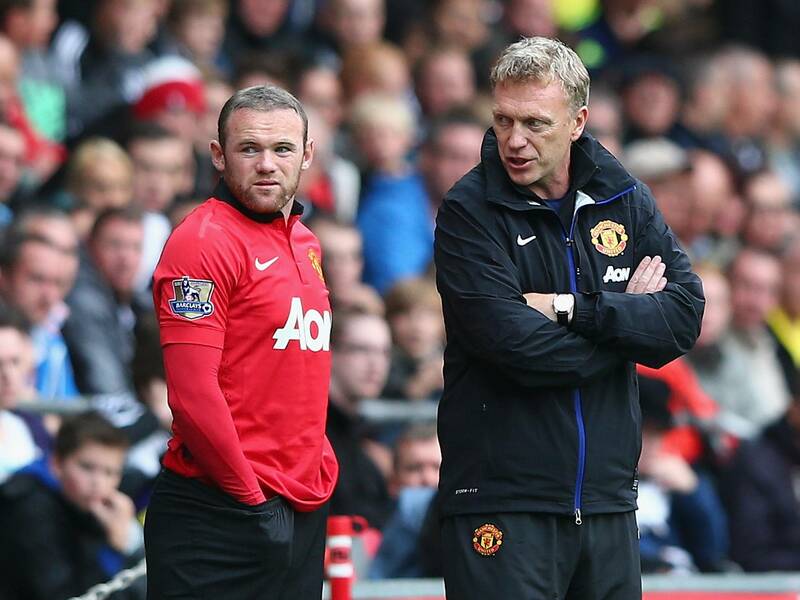 Rooney and United may still do great things together, trophies and records included. But the cards were placed on the table long ago. No matter what he achieves, both club and player know he’d rather be elsewhere. This entry was posted in Analysis and opinion and tagged chelsea, david moyes, england, manchester united, mufc, wayne rooney by Jon Wilmore. Bookmark the permalink.